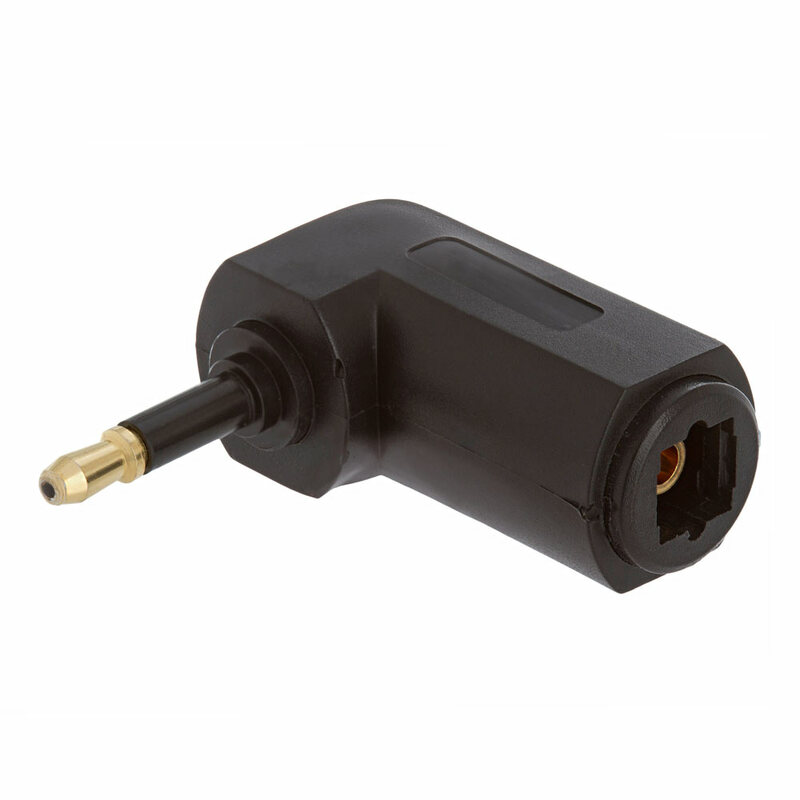 Optical Toslink Jack to Mini Plug Angled Adapter converts TosLink Plug to a Mini Plug. 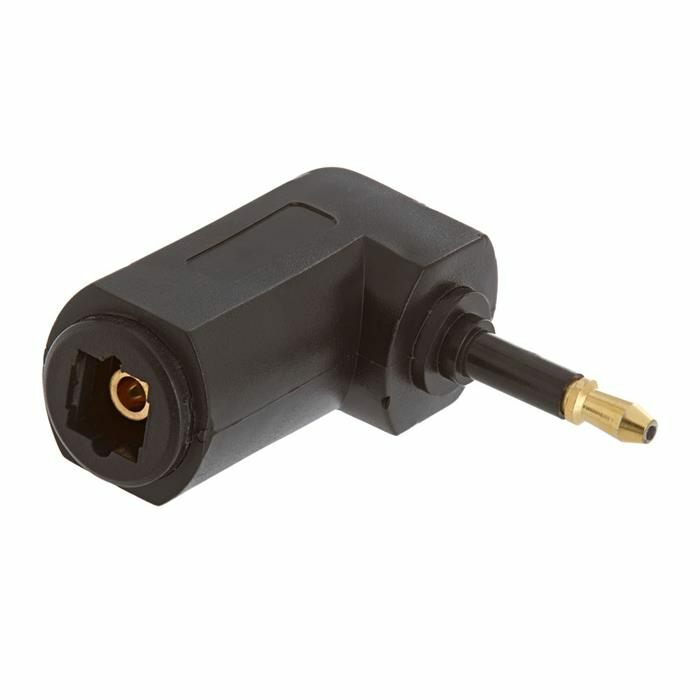 The adapter is assambled of black molded plastic with gold-plated contacts and comes with a dust cap for protection from contamination while not in use. Its angled shape helps fiber optic TosLink cable to fit easily in confined areas.